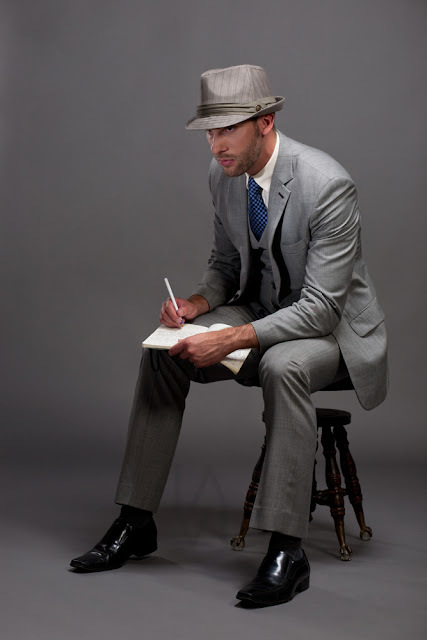 The light grey 3-piece suit, full view, with me sitting (hat by Gorin Bros). This image shows better how the suit fabric drapes and hangs. 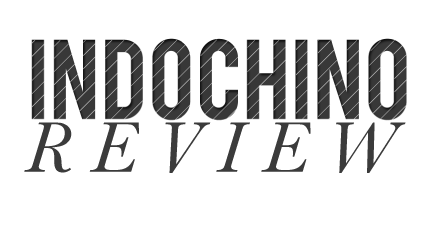 This is another review handed in for the Indochino competition - if you want to participate as well and have a chance to win a 125$ Indochino coupon, click here for details. 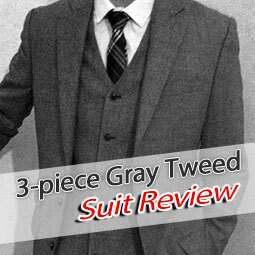 Andrew does not only show us some pics of the Grey Three Piece Suit, but also of a Navy Pinstripe Three Piece and reviews the Ambient Brown Suit from the Nouveau Collection. Enjoy the review, it is truly an excellent one. After 2 years, 4 bespoke suits, 5 custom-made shirts, and 6 alterations, I can safely say that Indochino is the place to go for high-value bespoke suits. Notice I said high-value bespoke suits; because, for the time being, Indochino is all about suits (and shirts, and a few accessories), not men's furnishings in general. 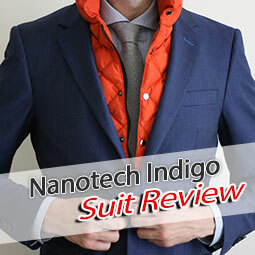 It is also important to note that, in this review, I will be heartily recommending Indochino for their suits, and their suits alone. As I will detail, I find their other furnishings -- shirts, specifically -- to be somewhat lacking. 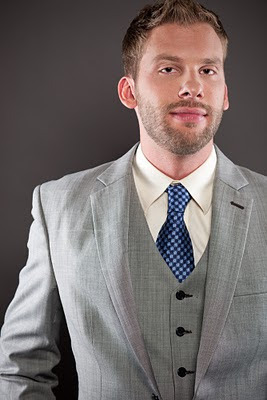 This in no way diminishes Indochino's preeminence as the best place for your average guy on a budget to get fitted and shipped a custom-made, fashion-forward, highly-customized and high-quality suit. I'll break this review down into a few parts. First -- I'll describe how I became an Indochino customer, two years ago, and what I own from them. Second -- I'll talk about my newest purchase, the Ambient Brown three-piece suit, with many customizations (the main review). Third -- An account of the only blight on the otherwise near-spotless reputation of Indochino quality: the durability of their goods, 2 years on. In closing -- General thoughts on Indochino suits, the buying experience, the buyer's responsibility in having a good experience, and things to consider before you get into your first bespoke suit. Let's not waste time, shall we? After 2 years, I've forgotten just exactly how I first found Indochino, but I know that I was quickly sold on the idea. I can measure myself? Free shipping in 3-4 weeks? Good-looking suits with high thread counts? You got it. 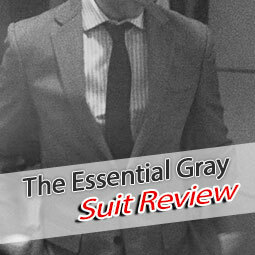 My first suit was the "Essential Charcoal Suit", highly recommended by Indochino's style guide as a first suit. Upon donning the suit for the first time, I was instantly converted; I hung up my pleated-front, cuffed off-the-rack trousers immediately. The next time they came out of my closet, it was because they were going to the Goodwill. Indochino revolutionized my professional wardrobe overnight. Within two months, I was ordering another suit (this time a gray three-piece suit) and another shirt, and then another suit, barely four months later. I was addicted. All in all, I have collected 4 suits from Indochino: the aforementioned charcoal two-piece, a gray three-piece, a navy blue striped three-piece, and now, the ambient brown three-piece. Along the way I have also collected 5 custom-fitted shirts (of which more anon). The suit I'll be reviewing today is my newest and most recent purchase, from the Noveau Gentleman Collection: the Ambient Brown 3-piece Suit. This is my third 3-piece suit from Indochino, so I have several points of comparison. I have also gained approximately 15 pounds since ordering my last bespoke suit, so am curious to see how my new measurements came through the tailor's. This is also my most highly customized Indochino suit; I went with a 7-button vest, a gold vest backing, peak lapels and 3 buttons on the suit jacket. The first question that comes to mind whenever I get a new Indochino suit is, "Does it fit". Apart from the sheer pleasure of unwrapping the well-packed box (which, this time, came with the unexpected bonus of a pocket square) and the sheer sensual pleasure of the sturdy, high-quality fabric, the burning question on my mind is always, "Is this going to look as good on my body as it does when custom-fitted to those hot models on the Indochino website?" 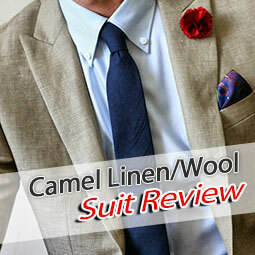 The answer, in the case of the ambient brown 3-piece suit, was . . . not quite. The pants and vest fit like a glove. The suit jacket needs some alteration -- but this is because of my hasty self-measuring, not because of Indochino's tailors making an error. Let me repeat that for clarity. 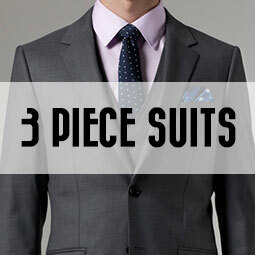 Indochino makes suits to measure. The measurement tools on their website are very precise (and have gotten more so, in fact, in recent months -- now they give options for lengths to the quarter-inch, rather than the half-inch). Use a cloth tape measure. Plastic will do in a pinch. Have someone else measure you. Don't cheat. Don't estimate. Measure exactly as directed. Measure again. (Measure twice, cut once). Go to a tailor and have them measure you. Compare the sets of measurements. Is the tailor adding inches because of style differences? Some tailors can be a bit old-fashioned, and favor stylist difference such as: a bigger break, a lower-riding crotch, longer and roomier jackets. If they go in this direction, they probably don't understand, or approve of, the fashion-forward suit, which is cut quite close to the modern man's body. Run the other way. Measure again by yourself. Compare. I've probably made my point. 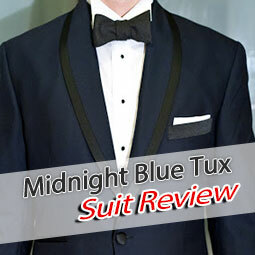 The suit will come out poorly-fitting unless you take great care in the measuring process. You skip this step at your own great peril. Okay, lecture over. 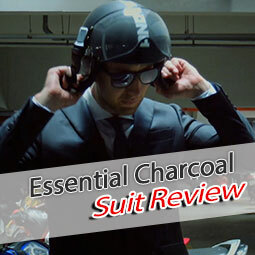 Apart from the measuring woes I experienced due to my own hastiness, how is the suit itself? Quite simply, it rocks. The colors are subtle yet intriguing, the custom cut is exactly what I wanted, and the customizations are plentiful. I also like that the new shoulders are not quite as padded as the old ones. As to the customizations, in retrospect I wish I had respected convention and gone with a more conservative two-button jacket, with slim notch lapels; peak lapels are trendier, but will require a wider tie pairing to really match up, and the green diamond tie I got with my order is on the slim side. I am quite pleased with how the vest customizations turned out; the 7 buttons really add a modern flair (reminiscent of Inception) and the gold backing looks ace. In addition, I finally nailed the perfect length vest for my torso (just touching the top of my pants) and it couldn't look smoother. Overall, I am quite pleased with this suit, and am sure it will look absolutely stellar once I take the suit jacket in a bit and find some broader ties to match with it. The great thing about this particular shade of brown is that it has a few daring complements, notably green and gold, but won't look shabby with a solid-colored shirt and / or subtly-patterned tie. I ordered two free custom shirts with my most recent purchase: a barrel-collared blue herringbone and a wide spread point collar brown gingham. They both look awesome with the suit. The problem? I screwed up my measurements on these two shirts, rather badly. Both feature an extra inch in the neck and probably 1.5" too little in length in the arms. Making them effectively useless as dress shirts. My ineptitude with measuring my own body aside, let me just make a single observation about Indochino shirts: they don't seem to stand up well over time. The first shirt I received from Indochino, the white Ultimate Utility, was made of what felt like a rough canvas. The fabric felt incredibly durable. I wore the hell out of this shirt, day in and day out for months on end. This shirt was delivered with my first suit, two years ago. A few weeks ago, my elbow wore through. My second Indochino dress shirt -- The New Black (pink in color), my elbow punched through the fabric after about a week of wear. I requested a replacement and received one in record time, this time made of a "new, durable fabric" that was about three shades lighter and actually felt thinner. So far, I haven't punched through this one. Also last week, the zipper on my pair of charcoal dress slacks broke. There is no way to zip them up now. Time for a visit to the tailor's. Six months ago, a hole appeared just below the right-hand pocket of the same pair of pants, about an inch in length. The seam had literally split. Readers, please tell me: are my expectations of custom clothes manufactured in China too high? Is two years of solid wear too much to ask of a dress suit, or a pair of dress pants? If you have purchased an Indochino suit recently, how long do you expect it to to last before needing repairs? How long do you want it to last? 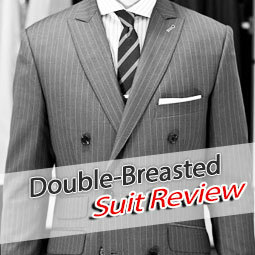 How much durability can we really expect for $300-500 per suit? Despite my gripes above, I'd like to make a few generally positive comments, based on my 2-year history ordering from Indochino. Price (even at the new prices in the $400-500 range) is still reasonable, for the quality of the product you're getting. Shipping and packaging leave nothing to be desired. Of the 6 alterations I've had made, 4 were related to changes in my own body size and not the fault of Indochino's tailor (This is not counting repairs). Coupons and deals are many and varied, to the point that I would say there's no excuse for ordering anything from Indochino at full price (unless maybe you really need a suit or a shirt in a hurry). In 2 years, I've never paid full price for a suit, or paid a single cent for an Indochino dress shirt or accessory. It's been all 2-for-1 or free-shirt-with-purchase deals. I suppose the other question people ask a lot is, when buying from Indochino, am I actually saving money, as opposed to simply buying something off-the-rack and then taking it to a tailor for a custom fit? To which I would respond, almost certainly -- although I've never bought a suit off the rack. Let me end with an anecdote which might better illustrate my point. Recently, one of my best friends went to get married. 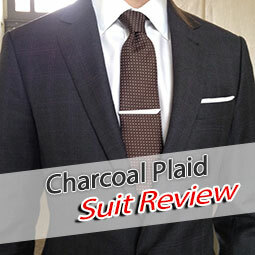 He bought a basic two-piece, two-button charcoal suit off the rack and had it tailored. He had to take it to 3 different tailors (and spent I don't know how much money in the process) to get it to finally fit him to his liking. The last tailor he visited was mine -- the same guy who tailors my Indochino suits, once, if I mess up in my lazy self-measuring process. If you, like my friend, are just getting into bespoke suits, you could do much, much worse than getting one from Indochino. Give Indochino accurate measurements of your body. This determines how happy you will be with the fit. 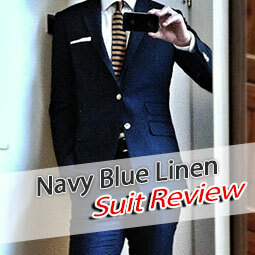 The navy blue 3-piece Indochino suit. Color correction makes it look a little more black. Ultimate utility shirt, in white, also by Indochino, beneath. Devonshire pocket watch. A special note on the photos in this review. They were taken in a professional studio for my business portfolio website. There are no photos of the suit reviewed because my own camera equipment auto-focusing broke shortly before I received the suit in the mail. Sad Christmas. Final disclaimer: I do not work for Indochino or any of its affiliates and received no monetary compensation for this review.